Are you looking to speed up muscle recovery so you can stay on top of your game? Look to your favourite Aussie CrossFit athletes for one of the most powerful therapies used for rehabilitating and recovering from sport injuries: the floatation or float tanks. Aussie athletes have been using float tanks for many years, and even the Australian Institute of Sport and some CrossFit centres and gyms employ float tanks as part of their programs because it’s proven to work well to boost athlete performance and speed up muscle recovery or recovery from a sports injury. Now remember, a CrossFit athlete spends many hours working their muscles, whether it’s lifting, running, rowing or gymnastics. And if they’re spending a lot of time training per week, then resting overnight or drinking a protein shake isn’t enough time for recovery – which is where the float tanks come in. Float tanks are a perfect alternative for our athletes. Read on for more about why and how you, too, should give this a try. What’s a float tank and how does it work? It’s a dark, soundproof pod filled with a warm, super-saturated Epsom salt solution in which you’d float in for 45 mins or hours at a time. Epsom salt is comprised of magnesium sulphate. As it’s absorbed through the skin, it builds the protein, relaxes your muscles, and therefore reduces pain and fatigue. Float tanks also help with lowering your heart rate because while you’re floating you enter a trance-like state – sort of like meditation. It’s a quiet environment and if you’re closing the lid you’ll be in complete darkness and quietness. So you become more aware of your breathing, your self-talk and your surroundings. If you’re the type living a busy life, day in and day out, floating can also help you with many health issues and mental wellbeing. Our clients have said floating therapies have helped them in many ways, including relief from migraine, insomnia, anxiety, stress, fatigue, and pregnancy comfort. We first explain the process and answer your questions. You would need to shower again here at the centre before entering the float tank. We provide some earplugs to prevent salt from getting into your ears, and to help you enjoy pure quietness. We recommend that you protect any scratches and open wounds, otherwise you’ll feel some burning on your skin! So if you have any scratches or cuts, or if you have just shaved, go ahead and smear some of the Vaseline provided over them. As you step in, you notice how normal the water temperature feels. We set it at skin temperature (just right) because we want you to feel as though you and the water are one and the same. 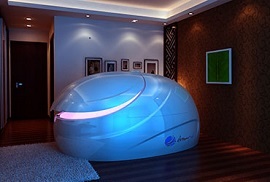 Now, if you want the best floating experience, close the lid to shut out the outside world. However, if you’re claustrophobic, then it’s OK to leave it open. No pressure. As you begin to lay down, you notice how the water propels you up like a helium balloon. You feel like an astronaut floating in outer space! You now need to find the optimal body position. You try floating with hands clasped behind your head. You try with your arms alongside your body. Is it more natural to rest them on your chest or hips? Once you feel comfy, you close your eyes and allow the float to work its magic! It’s just you in the dark, silky cocoon for 45 minutes of gravity-free respite. Your muscles instantly begin to relax. After the time is up, music fades in to ease you out of the float experience. Everyone gets a little disappointed when it’s time to jump out, but as you soon realise how weightless, refreshed and relaxed your mind and body feel, you’re ready to take on anything now that you’re ‘super light’. But before you do that, take a shower and then relax in our lounge with a cup of herbal tea. 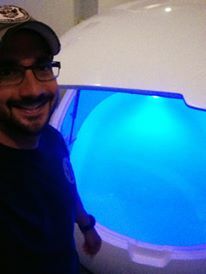 If you’ve enjoyed floating in a trance-like state and being able to forget the world while the water and salt work on your muscles, then feel free to book your next session. For muscle recovery, we recommend weekly or fortnightly session. This way, you can feel calm, relaxed and refreshed to keep going with the training. 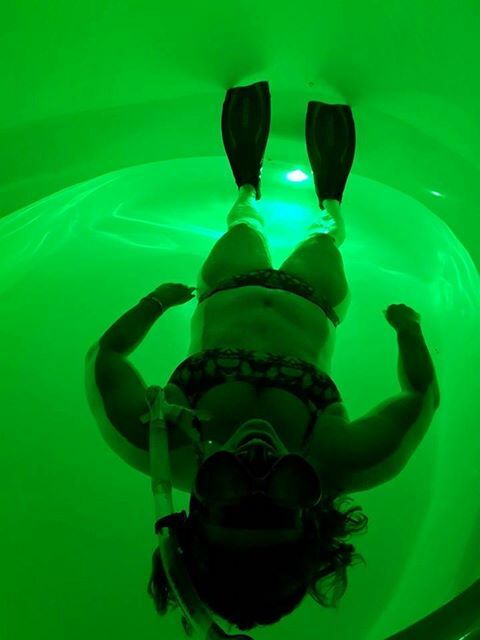 Two Australian athletes were happy to give some feedback about their experience floating for athletic recovery. Hear from Amanda Allen, two-time CrossFit Games Masters Champion, four-time Top 5 Australian CrossFit Regionals competitor and 2011 Individual CrossFit Games competitor. Recharge your mind and body! To book a session at The Life Spring, simply use our online booking form.